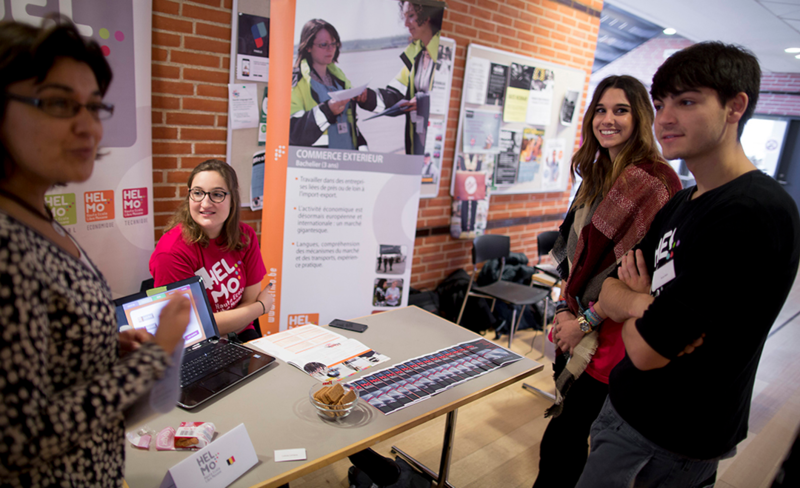 The halls buzzed with life and international languages when the International Business Academy, Kolding, held its international study and internships day. 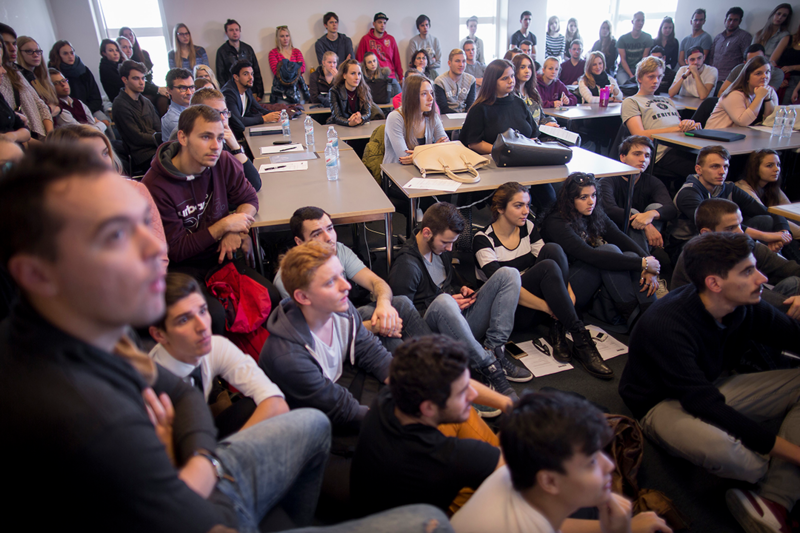 Over 400 students had signed up to the event, and more or less every language was spoken except Danish. 400 students participated in International Inspiration Day. Over 30 nationalities were represented at the event. “Would you like to try some homemade Brigadeiro? It’s a kind of candy… it’s really good,” said the two Brazilian students Cayo Buosi and André Paiva proudly. “I think we must be over 30 nationalities today,” remarked Ildikó Antal, who is director for international relations at International Business Academy, Kolding. She is Hungarian, with an international career behind her, and for her it is important that every student gets the opportunity to spend some time abroad. - It’s all about giving the students some really exciting experiences and some opportunities they will never forget – and at the same time making them attractive to the companies. 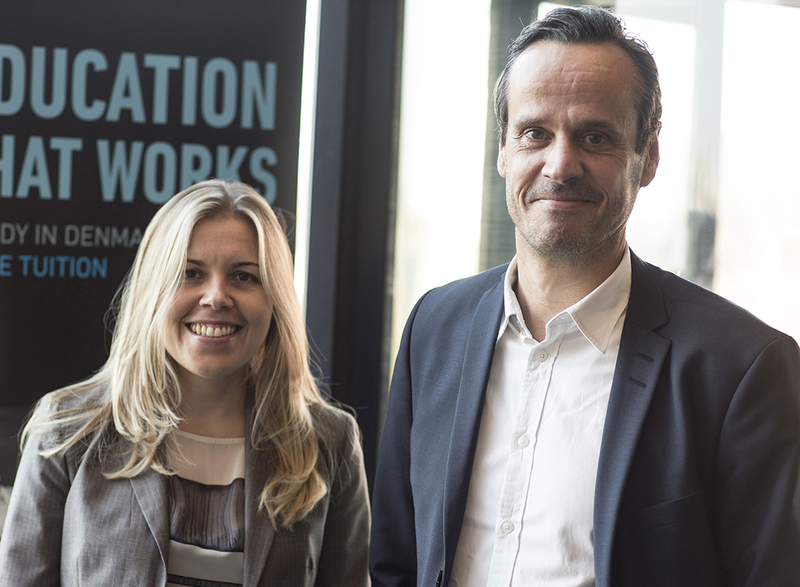 “It’s about giving the students some really fantastic experiences and opportunities - things they’ll never forget, and which at the same time make them attractive to companies,” said Mikael Rasmussen, programme manager for Marketing Management. Many students had made their way to room 740 to hear about the next study trip to China; and room 737 was also full to capacity when Ian Charles and Clare Dorking told the crowd about internships in New Zealand and England. Clare Dorking is the international internship coordinator at IBA, and she is very happy that she chose to live in Denmark, despite the fact that she has a house, a husband, children and grandchildren in New Zealand. She loves having daily contact with the young students, and it is she who arranges the (at least) 20 internship contracts between them and the companies in New Zealand. It is the reason she’s arranged to live half the year in New Zealand, and the other half in Denmark. “It’s definitely all worth it… because if it wasn’t, I’d never have arranged my life in this insane manner,” she said with a smile. One of the very first students at IBA, Uffe Vinther-Schou, came along yesterday to describe his international career, which started at IBA back in 1991-1993. Before speaking, he met with his former teacher Ian Charles, and it was a warm reunion, full of hugs, smiles and mutual respect. At that time, Ian Charles was the one who arranged Uffe’s internship at the company British Gas - and this was to kickstart Uffe’s international career, subsequently leading him to Holland, to Belgium, and then back to England. Uffe lived in London for several years with his wife and their two children. “It also gives something really special to the children, to learn another language - so it’s definitely no problem to live abroad as a family,” he said. Be international and global in your mindset! Work hard and be focused! Think about your career choice! Build up a good network! “Denmark is - to come right out and say it - just a very small country… and it does no good at all to just shut ourselves off, keep ourselves to ourselves, sitting around with our staid old traditions. We’d have neither oranges nor chocolate, for example, if it wasn’t for other countries,” he laughed. 20% of IBA’s students undertake an internship or study visit abroad during their studies.